DENMARK - Danish Superliga RELINK!!!! you mean this 220 x 220 Kit Display Modification? im working on it but im very busy, im do SSKCC first then this. Denmark - SuperLiga SS'2014/15 by mayday Relink! Hong Kong - Premier League SS'2014/15 by mayday Relink! USA - MLS SS'2014 by kifla6 Relink! Colombia - Liga Postobon II SS'2014/15 by yeixonlds Relink! 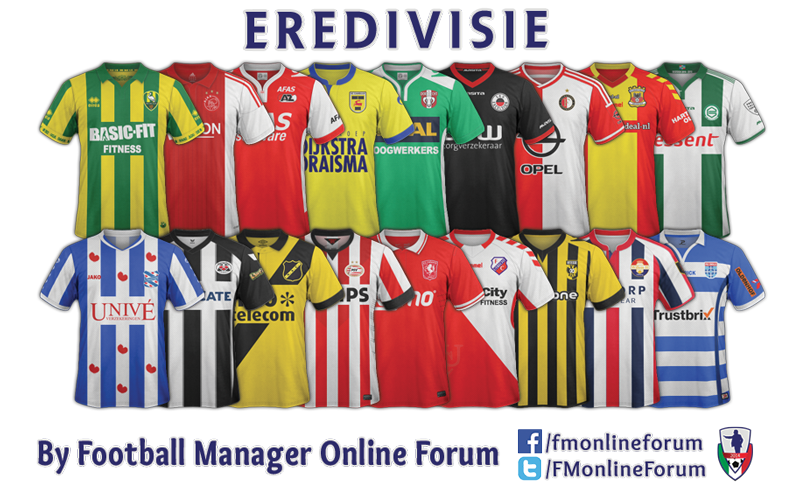 Malta - Premier League SS'2014/15 by FMOnline Forum New! Norway - Tippeligaen, Adeccoligaen, Second Div & Lower Div SS'2014 by einherjer83 Relink! Just notice...I haven't checked SSKCC for all above packs on FM14/15, will work on it soon. Estonia - Premium Liiga (Meistriliiga) 2014 by Madman99 Relink! 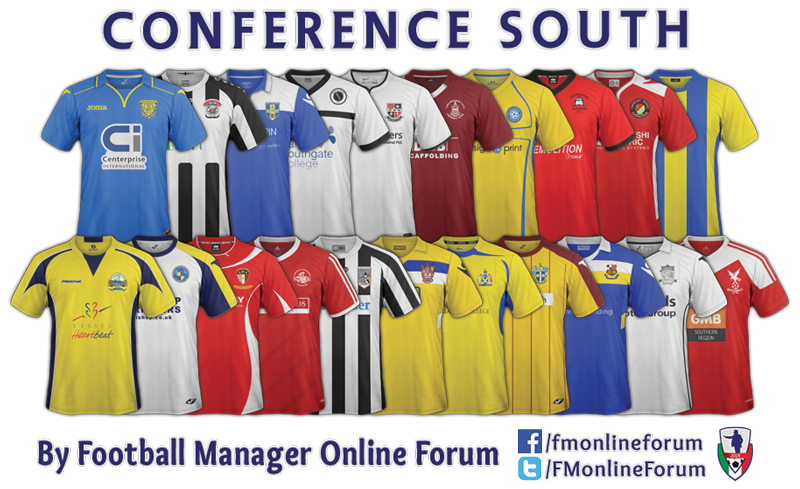 SSKCC15 v1.3 for 14/15 kits on FM15 ONLY Relink! Slovakia - SuperLiga SS'2014/15 by frankthetank87 New! Special thanks to hammer9 for all the missing templates! Malta - Premier League by Gameiro07 Relink! South Korea - K-League SS'2014/15 by DarkNaples New! Spain - Tercera Grupo VII SS'2014/15 by Vegeta28 New! Austria - Austrian Regionalliga Mitte SS'2014/15 by schweigi New! Austria - Austrian Regionalliga West SS'2014/15 by schweigi New! Northern Ireland - Premiership SS'2014/15 by frankthetank87 New! 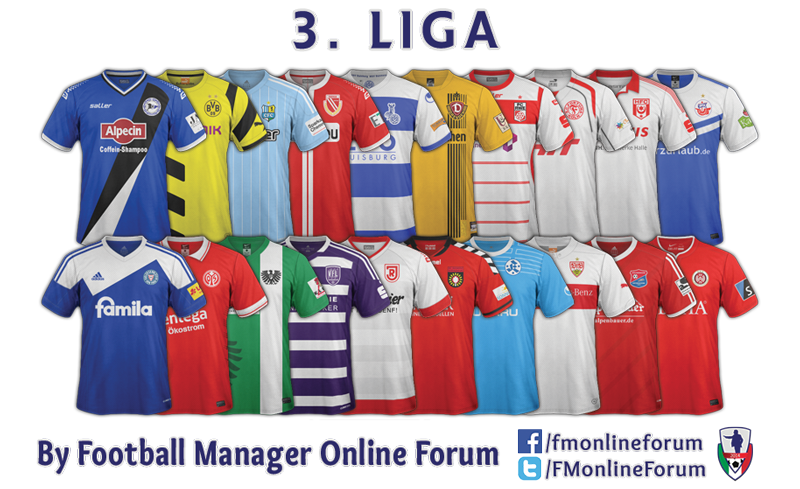 Germany - 3 Liga SS'2014/15 by FMOnline Forum New! Thanks to zamoranista & vegeta 28! great work guys! A curiosity of mine, someone is working with the other two groups of non-league premier ??? and the lower leagues ??? Thanks so much!